It’s the best time to enjoy flowers in Kyoto. I visited there and enjoy Tempra lunch with my friend. They have lots of nice restaurants there. Oh, Japanese cuisine is art. Kyoto is one of the oldest cities with grace history, I believe. And Kimono is of course very good to go out with. I met a nice guy whose name is patrick! 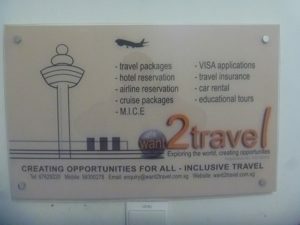 If you wana go singapore , Please contact Patrick!! Today, I can give you my greeting of spring from my kitchen! Here in Kobe, Kansai, Japan, we have some special food to tell you spring time. One of them is Kugini, or carameled sandlances. 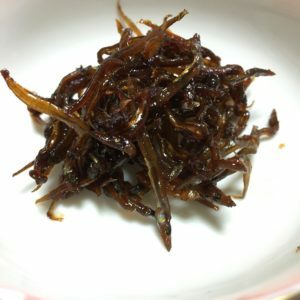 Seto Inlandsea gives us good fish all year round, though, it gives ikanago or sandlaces in spring. We cook them every houses from mother to daughter. I also cooked them myself. It is carameled, but with soy source and Japanese pepper, it is quite good for rice. 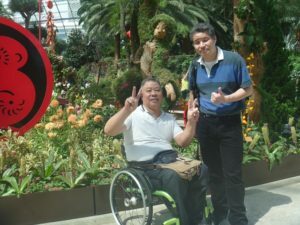 Singapore zoo is very kindness for wheelchair`s people. 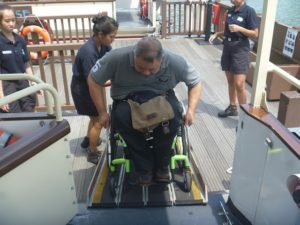 When he enbarked the cruise, Safari staff helped Patrick to embark the cruise. 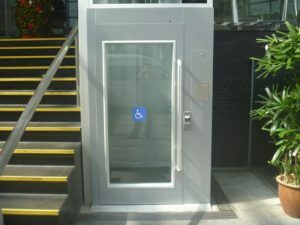 This hotel has a lift for wheel chair`s people. I think that is good idea!! Hi , I am NAKKAN. 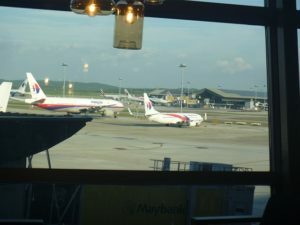 Now, Terimnal number 5 is underconstruction in changi airport…. 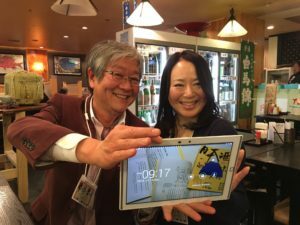 I had a nice dinner with Mr. Uesugi at a unique restaurant in Osaka. Have you heard of the Uesugi family? Kenshin Uesugi was one of the most famous and strongest samurais during Warring States Period. Mr. Uesugi is his descendant. He is also a writer of Japanese history and Sake. So, I enjoyed dinner with special talk about history and sake. Though I don’t drink, still his talk is very interesting. translated to Chinese and English. 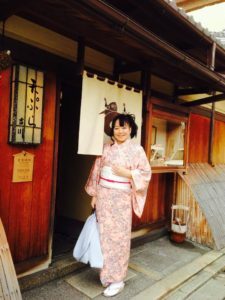 To meet people in Japan is a good way to know about Japan deeply. Hello,dear. Welcome to Chiaki’s kitchen! It’s been so cold in Japan. I enjoy cooking by an earthenware pot on a day like today. 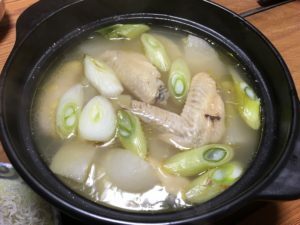 Making chicken wing soup with scallion and radish.